One trend in many of these new scenarios in coding theory is the need for algorithmic solutions. 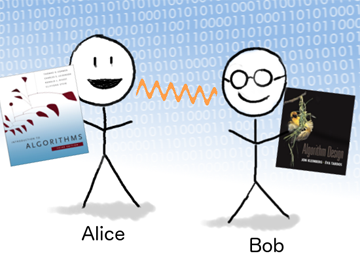 For many problems in coding theory, it is possible to come up with nearly optimal solutions (information-theoretically speaking) which are likely very hard for Alice and Bob to actually implement. The goal of algorithmic coding theory is to design solutions which are not only combinatorially good, but are also computationally efficient. This workshop is part of a series of NSF Secure and Trustworthy Cyberspace funded workshops designed to make mathematicians aware of issues in cybersecurity.